Sure Start is a £500m UK government initiative which launched in 1998 aiming to provide nursery care and a framework of support and advice for families on low incomes. In 2001, the government published 'Every child matters', a 10-year plan of action committed to giving young children to best possible start in life. A part of this is the creation of a number of new children's centres that focus on services that support and enhance family life. A Sure Start Children's Centre is where children under 5 and their families can go to receive a range of integrated services - childcare, early education, family health provision and other support services. 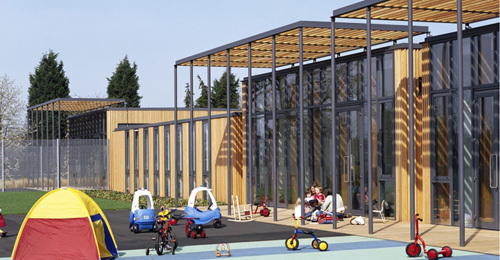 A resource 'SureStart - Every building matters' is a guide that was released in 2008 by CABE (Commission for Architecture and the Built Environment) and DCSF (Department for Children, Schools and Families) that describes how to create (design) inspiring children's centres - designing play spaces, involving the community, making and entrance, respecting the environment and planning for change. 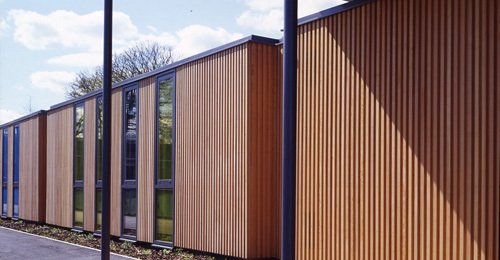 The first designed SureStart Children's Centre was this "gentle, prefabricated steel and timber pavilion" (Glancey, J., 2005. 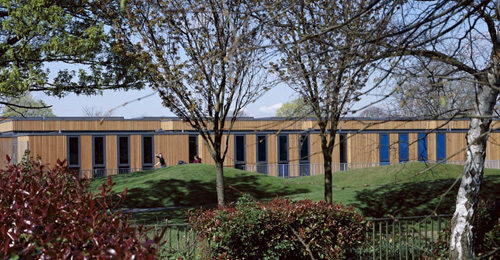 The Guardian) in Mitcham by John McAslan Architects in 2003. 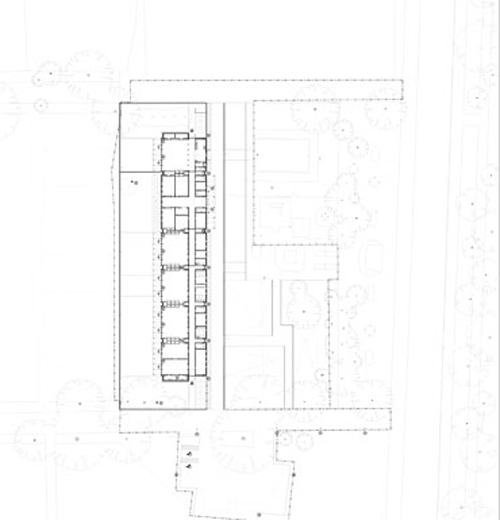 The building was designed on a very tight budget, with the architects making a loss on the project. Yet the result is quite beautiful fitting in lightly with the environmental setting. 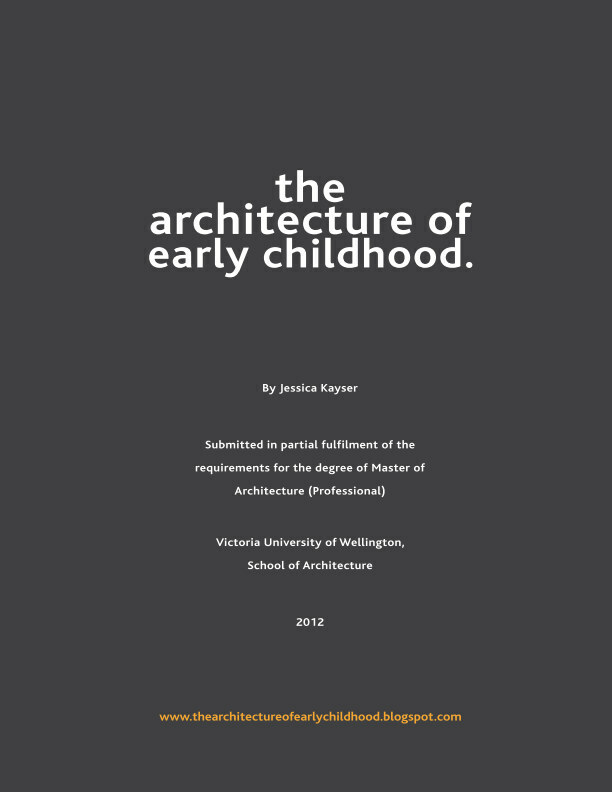 The brief was to design - plan and shape a new building type, one that will serve parents and children equally well. The site (which was where the River Thames used to flow) was chosen as it is well served by public transport, and includes a park, mature trees, rich birdlife and a patchwork of hard-worked allotments. A perfect place for children. The result is a modular kit-of-parts able to be bolted together on site. Jo De Silva, the Arup engineer on the project describes the centre as "a giant Lego or Meccano kit, an appropriate concept and one legible to users". 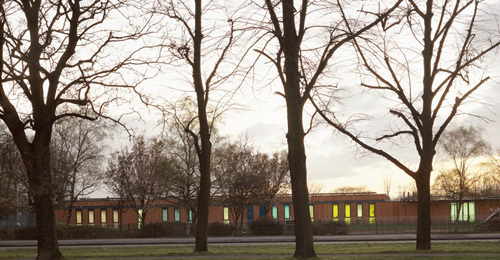 As for how the building changes its visual character from street to allotment, she says: "The services, envelope and finishes of the building were built up in layers, anchored to the structural frame, in the same way that the muscles, organs, skin and, finally, clothing flesh out a skeleton to define a person. All interconnect to create the overall appearance of the building." 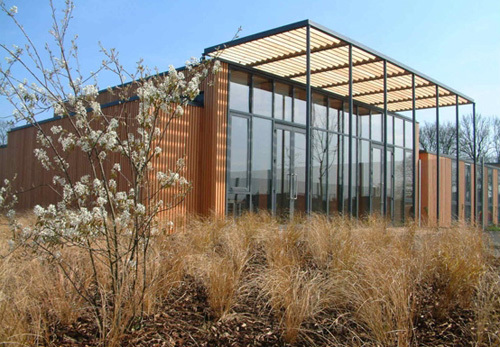 The building engenders an organic feel even though it is factory built. Daylight is controlled nicely with timber slatted 'verandahs', which acts as a sunscreen. 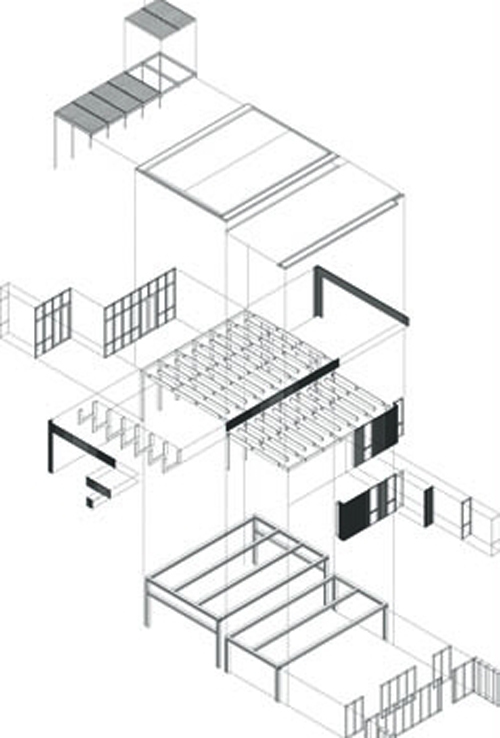 A brave new building type which attempts to raise the hopes and aspirations of families and community through an architectural framework. Jonathon Glancey in The Guardian finishes his article on the building's design speculating on how perhaps other architects or designers "will address this new, low-key adventure".